When you have locked your keys in your car, have locked yourself out of your home or are facing some other emergency, you need a locksmith that will respond quickly. At Integrity Locksmith, we provide the emergency locksmith services that you need. You don’t want to be stranded for hours. We respond to your emergency 24 hours a day, 365 days a year. This ensures that you don’t have to wait any longer than absolutely necessary. We have a great reputation in Orlando and the surrounding area. We’re also prepared to handle both residential and commercial locksmith emergencies. You can call us knowing that we can take care of any repair or service that you might need. When you need immediate assistance, you can call us at Integrity Locksmith at any time of the day or night. You don’t have to look for office hours because we have licensed locksmith who can be sent out at any time. This can eliminate a significant amount of frustration. If your key broke in your office door or you are locked out of your home, you shouldn’t have to wait until the next business day. We can get a locksmith dispatched to you immediately. We can send a licensed locksmith out to you in a matter of minutes. Plus, all of our vehicles are fully stocked with the necessary tools in order to handle the service. Once you make the call, identify what kind of emergency you are having. 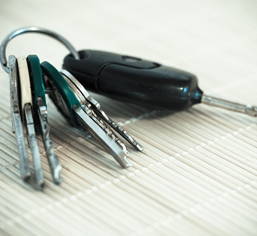 We handle everything from lost keys to lockouts to key cutting. Whatever it is that you need, you can call us with confidence knowing that we will be able to take care of the problem. Plus, we will make sure to find out the problem before we dispatch a locksmith to ensure that we are dispatching someone who specializes in the particular issue you are struggling with. It ensures that we will have the tools and expertise needed to provide you with a fast resolution. After all, you want to know that the locksmith who shows up is capable of getting the job done. Additionally, we focus on providing professional services so that you don’t have to worry about whether the job is being done properly. If you need a locksmith, call us knowing that we have the skills to help you and the competitive pricing to save you money. Emergencies shouldn’t cost you an arm and a leg. When you need emergency locksmith services, Integrity Locksmith is dedicated to providing you with competitive pricing. You can get quotes over the phone before we even dispatch a locksmith to you. It ensures you’re not going to be hit with a bill that you can’t afford. Whether you need to have a key fob programmed for your car or you need duplicate keys made for your business, we’re here to provide services that you can afford. It doesn’t matter whether you need them made at 2 am on Wednesday or in the middle of the afternoon on a Saturday. If it’s an emergency for you, it’s an emergency for us. Call us today to have an emergency locksmith in Orlando dispatched to where you are.